Published by Joshua Clare-Flagg on 3 Dec, 2013. 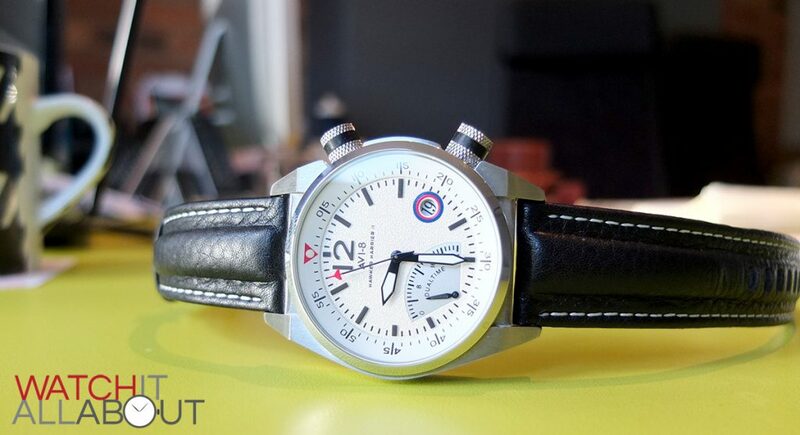 Recently Avi-8 have been creating quite a storm in the affordable market, mainly because they have literally exploded I to the scene with a very impressive lineup. 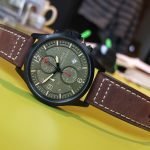 Usually new watch brands would start with no more than 5 models. 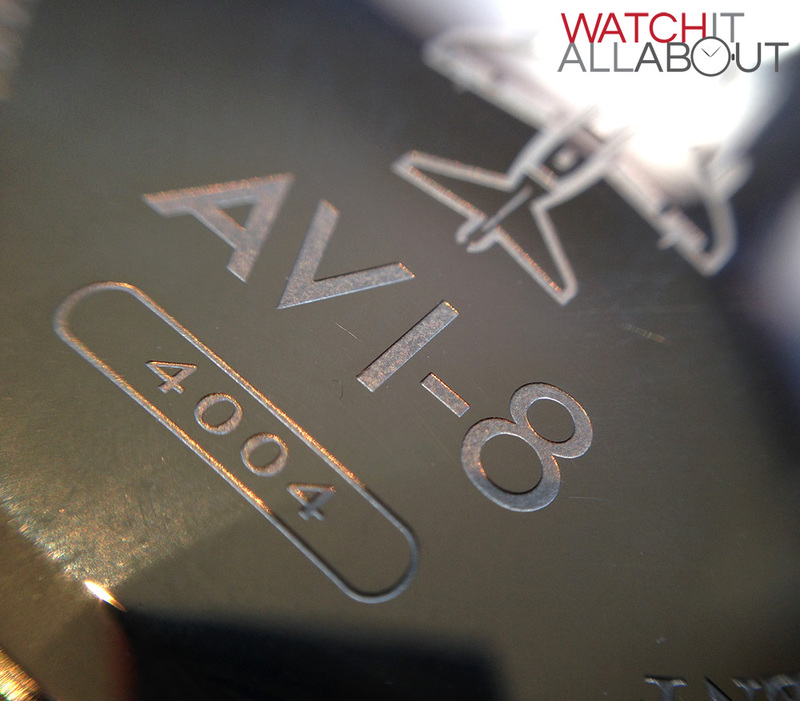 But Avi-8 have thought that’s just plain lazy. So they’ve set off with a massive 102 models. Now that’s how to make an impression. Having a good browse through their collection, there was something about the 4004 that caught my eye. I like the unusual design of the case, the dual crown and the dual time zone at 7. 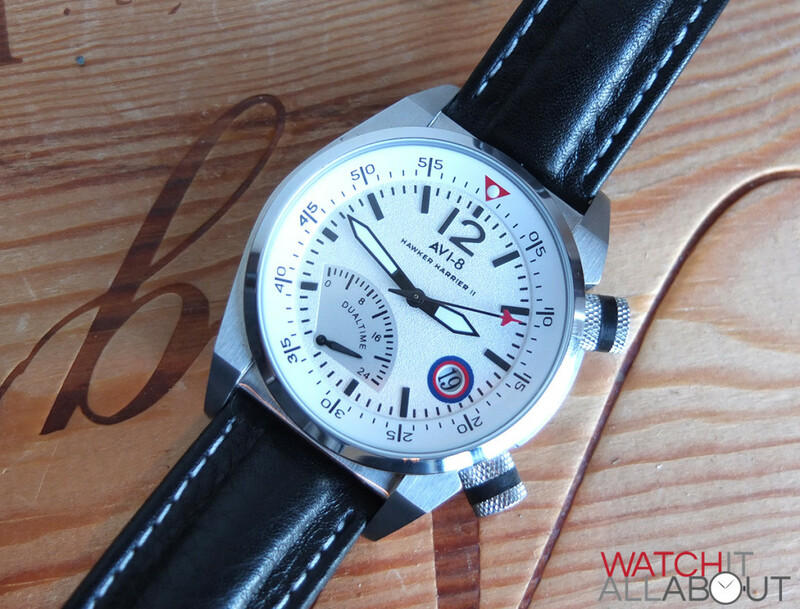 So, now it’s in my hands, let’s take a look to see if it is a decent affordable aviation watch. When you see the 4004, the first thing you notice is the rather striking case. If I was to think of one word which sums up the case, it would be angular. It has a definitive style to it which works very well. Due to the design of the case, there are some sharp corners, but the case is machined so well these corners aren’t uncomfortable or razor sharp, but rather they are cut with high precision. The case features dual crowns, which I love. The top crown is to control the inner rotating bezel, and the bottom crown is to change the date and time(s). The case is all stainless steel with a brushed finish, bar the outside bezel and caseback which are polished. The general finishing of the case is flawless, the brushed being uniformed and the polished being spotless and so reflective you could use it as a mirror. The crowns have a roundel etched on the end and have great grip and a soft rubber ring around the centre, offering very impressive grip. 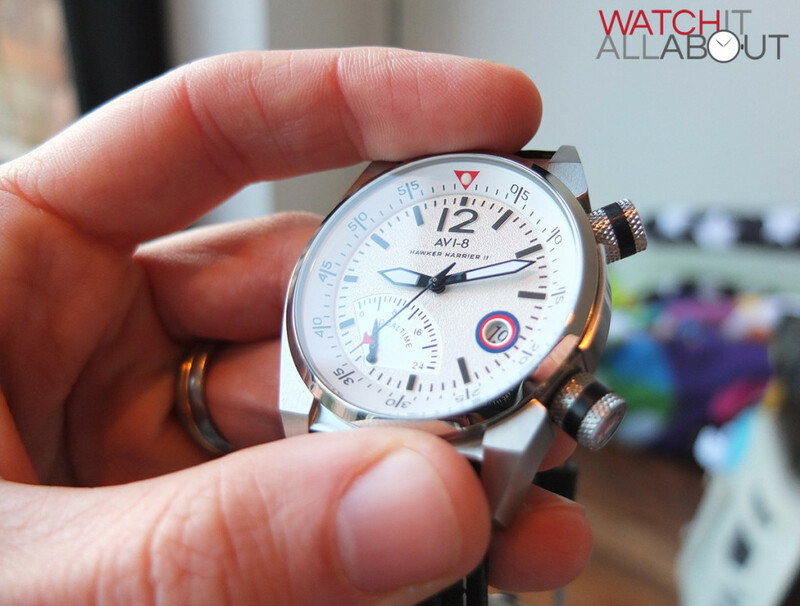 The shape of the case is hard to explain, but reminds me a little of the IWC Ingenieur. I’ll let the photos do the talking! 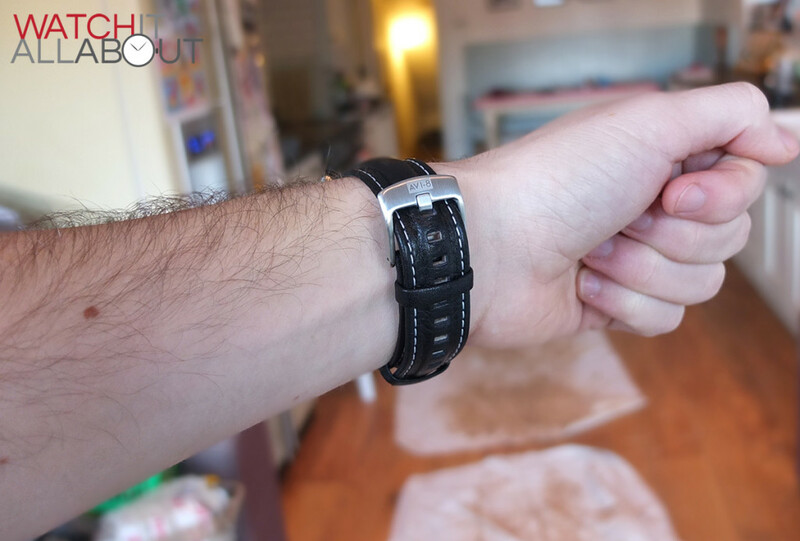 The inner rotating bezel is very easy to use, it is obvious that it has a good mechanism behind it when you use it. It isn’t too stiff, but has just enough resistance to ensure it’s not accidentally moved or knocked. The crystal is a flat mineral crystal, with an effective layer of anti reflective coating in the underside. Personally, at this price I would have preferred a sapphire crystal as they are more scratch resistant. But, this crystal does the job well and is insanely clear. 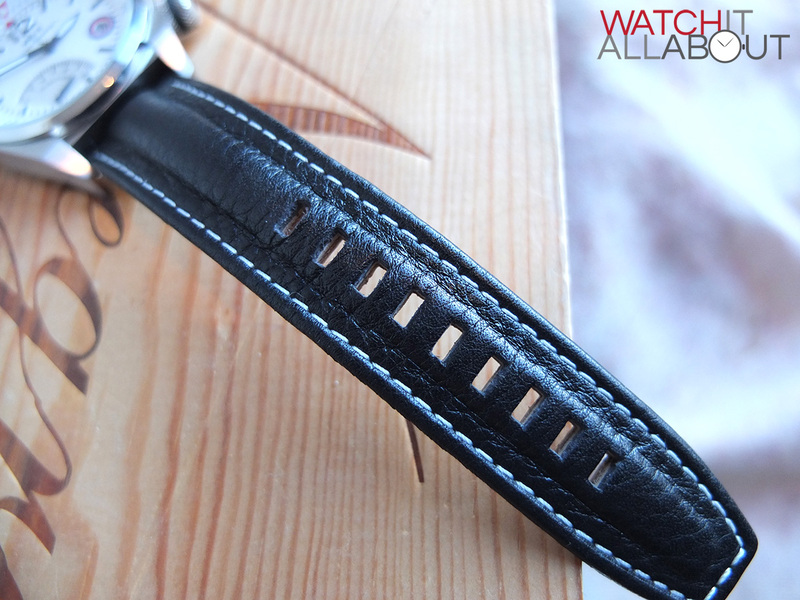 The caseback is nicely designed with deep engraving of all detailing, which again shows high quality. All in all, the case has a very solid feeling to it, and is machined very well, with impressive accuracy. Due to the design, it was imperative that it was flawless, and I’m happy to see that it is indeed. 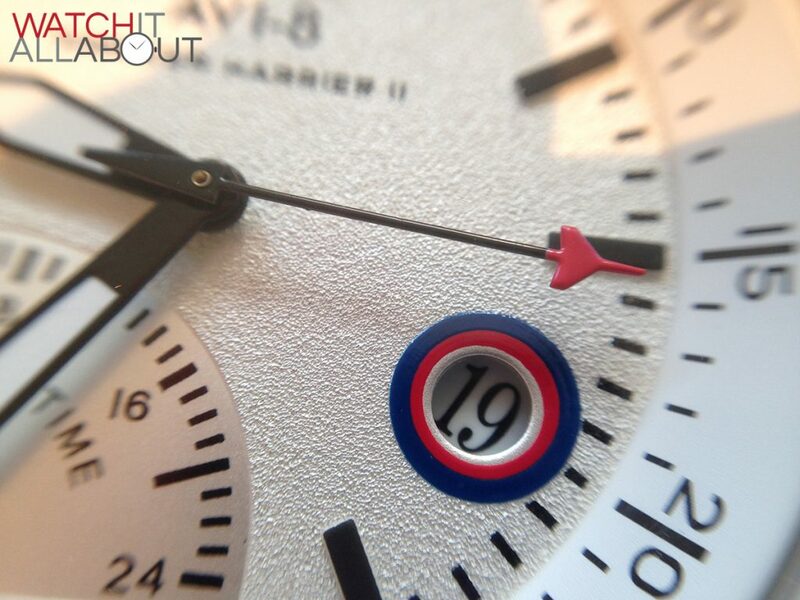 The colour of the dial is a lovely silver / off white colour, with a subtle texture to it. As a sucker for textures, I find this pleasant to view and catches the eye well. 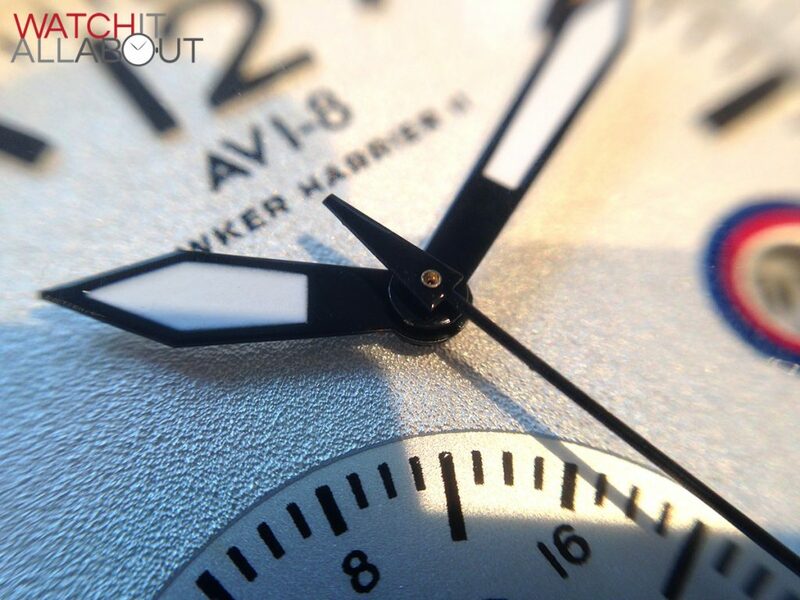 The dial features applied hour markers which are all cut with high precision and applied spot on. 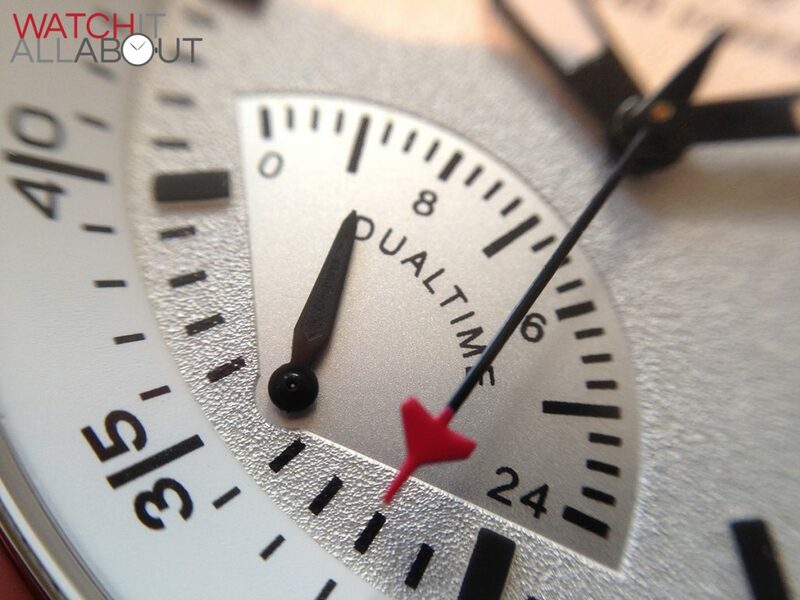 There are batons for each hour, as well as a large 12 which stands out against the dials’ light colour. 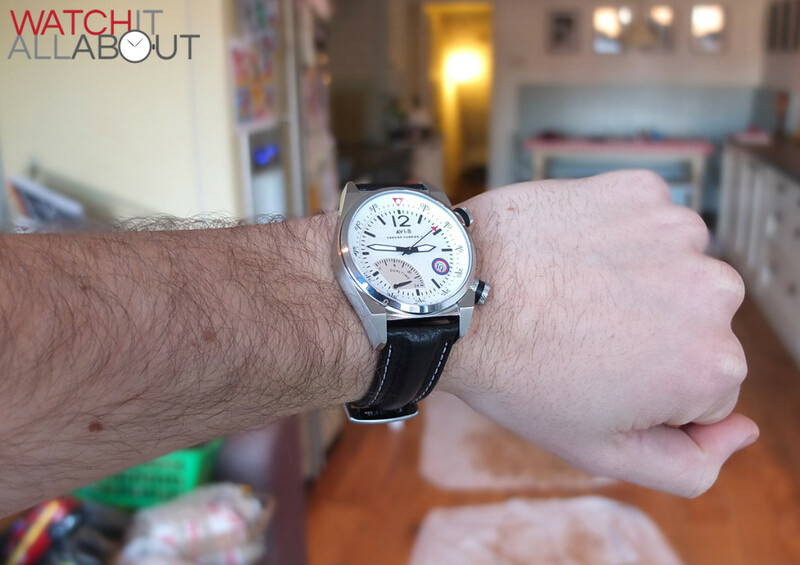 The inner rotating bezel is a great feature and looks smart. At 12 there is a small red triangle, producing a dash of colour with a lumed pip within, and a minute track around the lower edge. Every 5 minutes has a larger marker and the two digits either side. All printing is flawless and very easy to read. I really like this feature, as you don’t see it too often. The bezel being inside the case rather than on the outside means that the crystal and view of the face is much larger, giving the watch a much more impressive appearance. 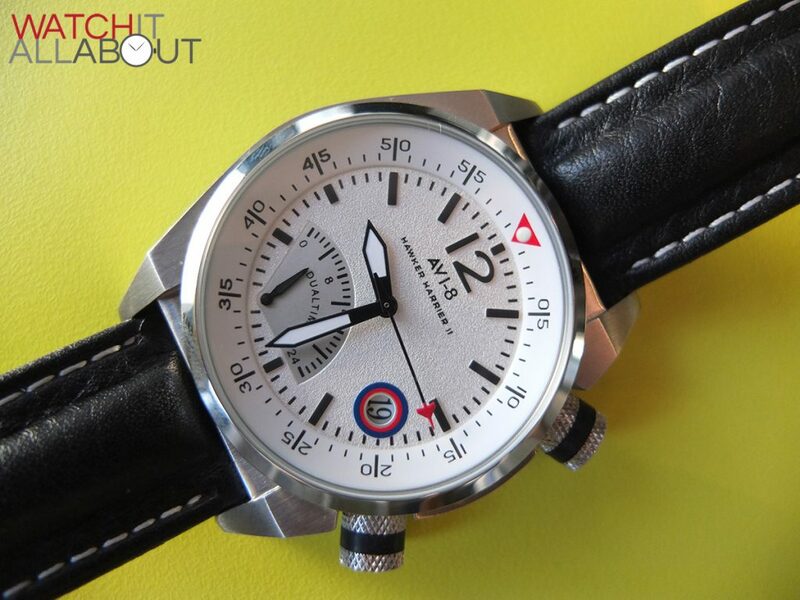 There is an interesting roundel feature around the date window which matches the aviation theme, and brings in another small splash of colour into the dial. It has a red ring which is in turn surrounded by a blue ring. In my opinion, these could be a tad thinner and not as bold, as I’m not too keen on the thick rings. One thing I have noticed is that the date text on the date wheel is too large for the window. This is a shame as it makes it look a little strange, and sometimes the date is hard to read. The hands are all made of a shiny black material, which looks more like plastic than metallic. The hour and minute hands are both sword shaped, the hour being longer and thicker. The second hand is well designed, it being a thin stick with a red aeroplane at its tip and an inverted triangle as it’s counterbalance. Both the hour and minute hands have lumed centres. These are the only lumed parts of the watch, bar the pip at 12 in the inner bezel. The green lume is average, taking a while to charge and then not glowing particularly bright. 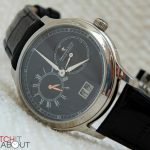 For me, the main feature is the dual time indicator or 7. It is a retrograde subdial (which doesn’t go round and round like a normal subdial, it reaches the end and then flicks back to the start). Whilst it takes a little while to get used to, it offers a very quick and easy read of the second time zone. All you really ever need to know is the hour anyway, as the minutes will usually be the same across both time zones. This semi-circle subdial is a smooth finish rather than continuing the texture of the main face. This is a effective way of differentiating between the two in a subtle and appealing way without making a spectacle of the second time zone, whilst still allowing it to be easy to read. 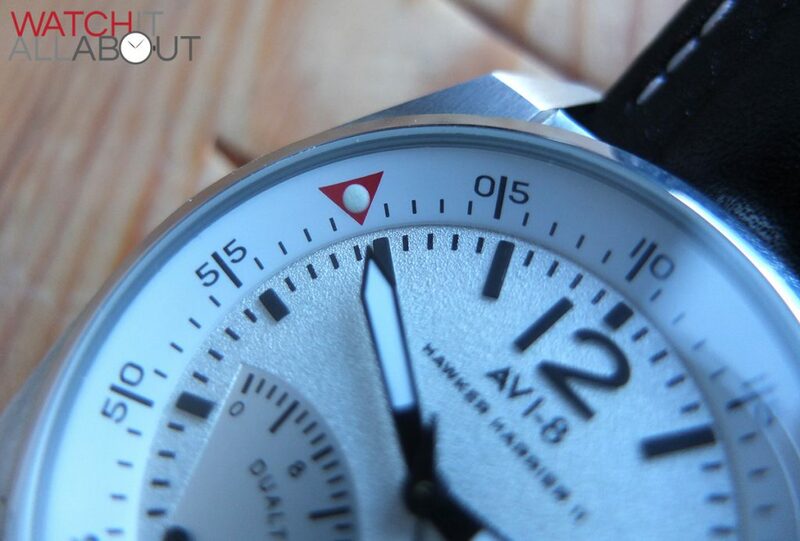 The dial does offer good legibility as a whole, and is very well refined and designed. 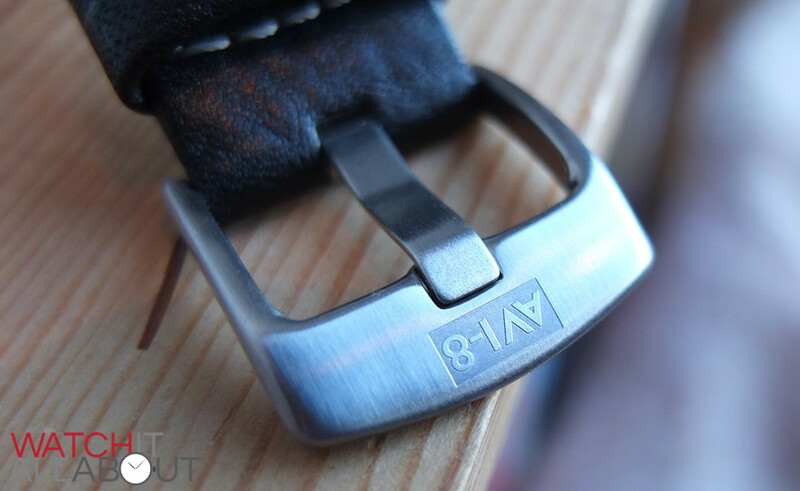 I have found that the straps are very high quality on Avi-8 watches. The 4004 really is no exception. The leather is so amazingly soft and supple, it is a joy to wear. 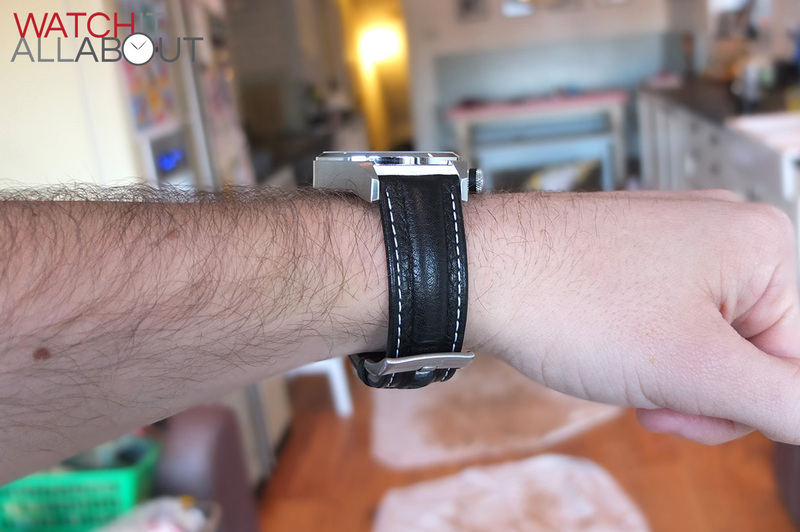 The underside is beautifully done and results in such a comfortable feeling on the wrist. 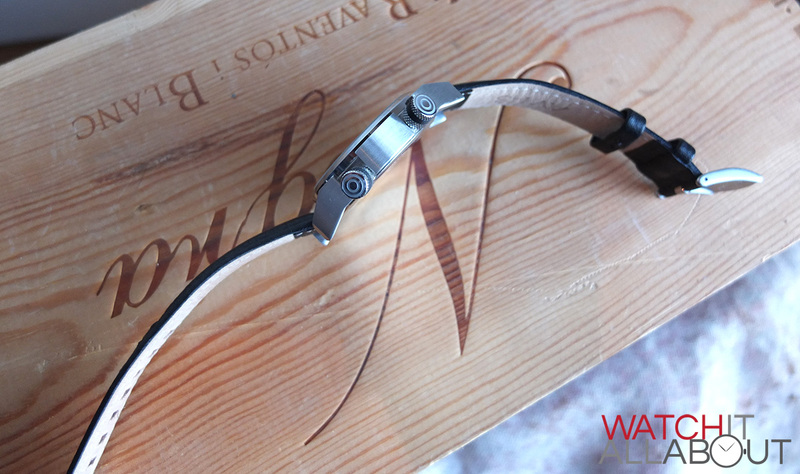 The strap is very easy to bend so it is comfortable to wear straight out of the box – sometimes leather straps cane stiff to start with and take some time to soften. That is not the case with this strap. I do like how the long side of the strap has a flattened end rather than a pointed one, I think this reflects the angular style of the case well. It is a very deep black leather with contrasting white stitching around the outer edge. The stitching is very well executed and neat. There is a raised lump down the centre of the strap for the whole length, giving the strap a higher profile and some extra thickness. The strap loops are also very soft and made of high quality leather. The buckle is brushed stainless steel which is very well machined, with very smooth edging. The logo is etched nice and deep and it has a thick strap pin, which fits well with the wide holes in the strap. All in all a very good strap, with the feel of the leather being a real winner. It is very comfortable on and means for a pleasant wear when matched with the light weight of the case. 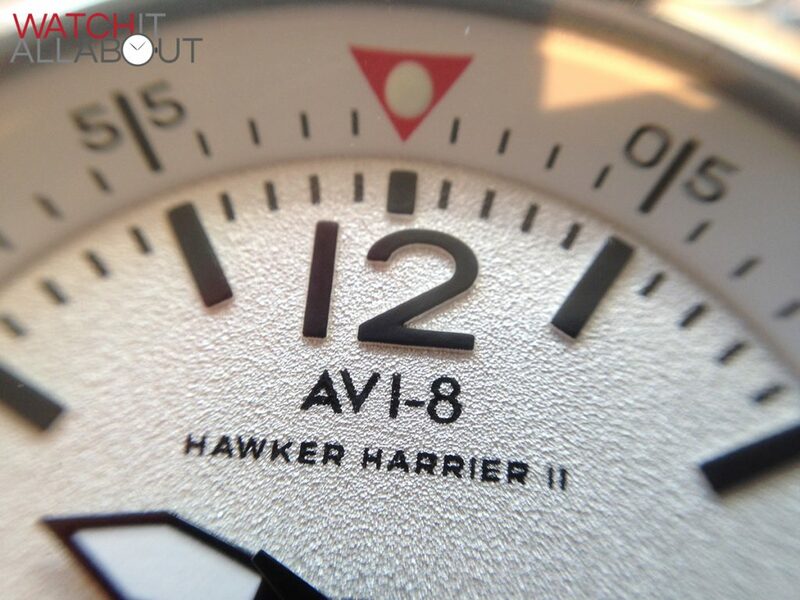 The movement powering the Avi-8 Hawker Harrier II 4004 is known as a Miyota GP 01. Heard of it? Neither had I. Obviously being a Miyota, you can be sure that it is of good quality and likely to last a good while. 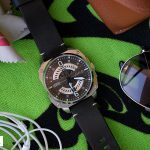 The key feature of it is that it has a retrograde dual time subdial at 7, which can be easily independently set to the main time. A very handy feature indeed for travellers or pilots. Being quartz, it is very light and durable, and offers excellent accuracy. To change the time, you pull the bottom crown out to the second position, and twiddle away. The first position gives you the ability to change the date and the second time zone. Simply rotate it clockwise to change the date, and anti-clockwise to change the second time zone (you can only advance the time zone one way). 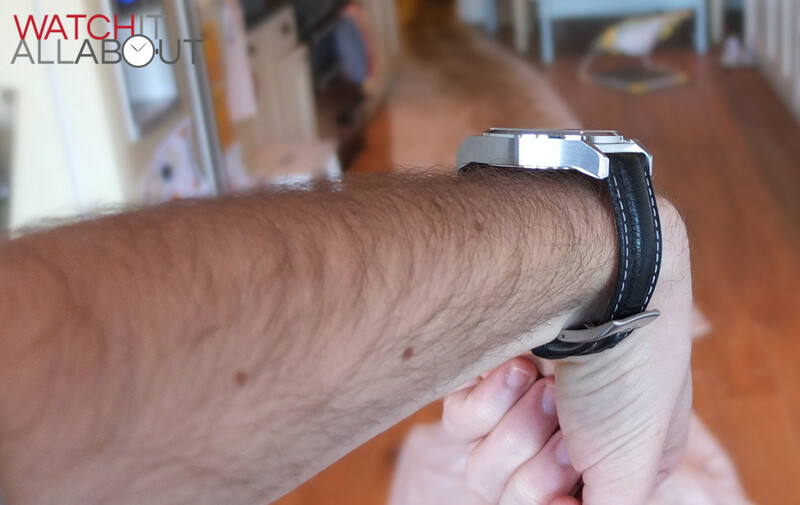 When you reach the far right end of the subdial, it flicks back to the start so you can continue adjusting the time. A very cool feature which is excellently executed – it really couldn’t be easier to use! 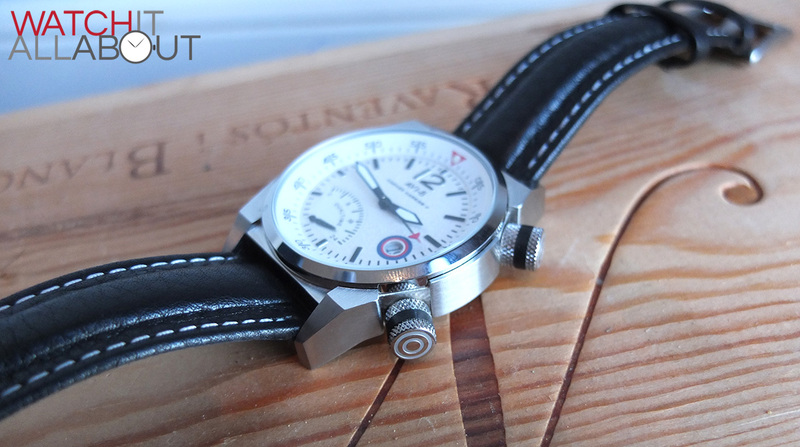 Whilst the asking price is high at £300, you are getting a great looking and very well made watch. It is a shame that it doesn’t have a sapphire crystal, but some prefer mineral crystals anyway as they are more shatter resistant, but less scratch resistant. 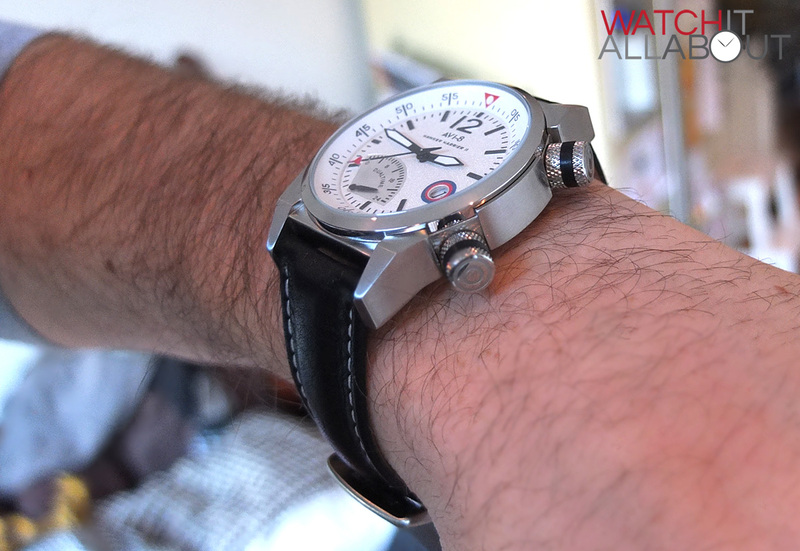 It really is a unique looking watch which catches the eye and is impressively built. 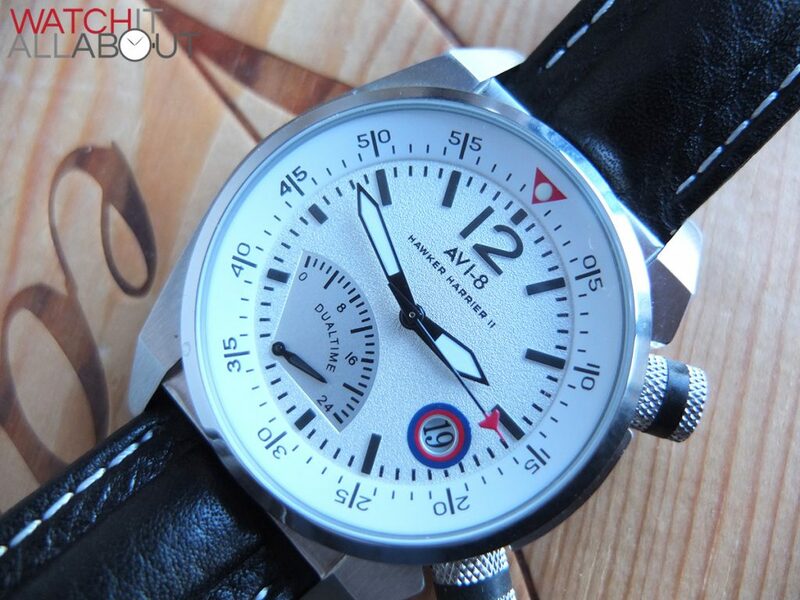 So if you are interested in a unique styled pilots watch which is well made, with a lovely leather strap and different movement then I would recommend the Avi-8 Hawker Harrier II 4004. Nice review , not a make I’ve heard of before . 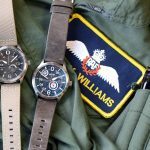 Just been checking out their range , its a ridiculous line up for a new company , love the design touches they’ve took from the world of aviation . 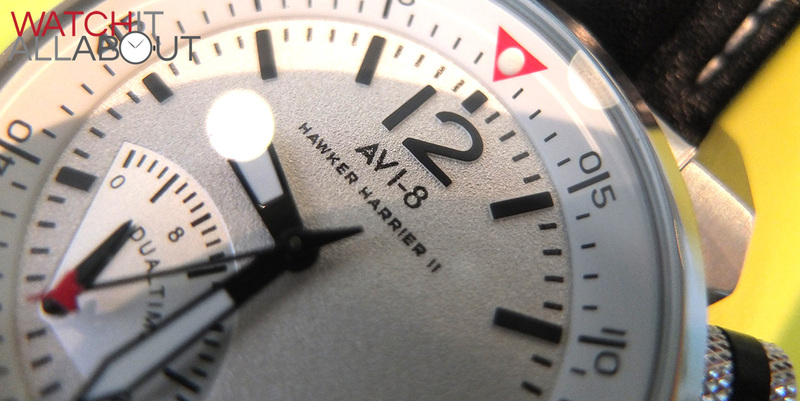 Particularly liking this one and the hawker harrier II with the altimiter type day display . 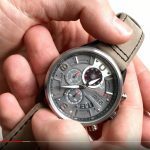 An interesting watch. I’m confused about the size. 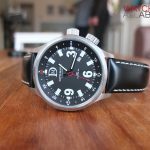 AVI-8’s website and Amazon (US) have it listed at 38 mm x 49mm and 38mm but it looks larger on your wrist Josh and I can’t see any reference to size in your review. “The hour and minute hands are both sword shaped, the hour being longer and thicker”???? That’s a bit odd in any watch isn’t it? As a previous owner of this watch I could swear that the converse is true, at least lengthwise.